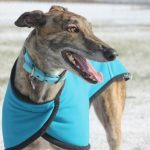 Earlier this week, ABC’s Four Corners exposed the grisly reality of greyhound racing – a sport which attracts $1 billion in bets annually and helps fill the government’s coffers. Shockingly, live animals are being used as bait in a number of training farms across NSW, Queensland and Victoria. Greyhounds themselves are also being subjected to various forms of physical abuse and put to death if they fail to meet racing standards. The CEO of RSPCA Australia, Heather Neill, says we would be naïve to think it wasn’t happening in other places as well, despite claims to the contrary from some within the industry. Four Corners showed possums, rabbits and piglets being used to train greyhounds. The defenceless animals were tied to lures and flung around racetracks while dogs chase and then maul them to death. In NSW, the entire board of Greyhound racing in NSW has been dismissed following the exposure of live baiting and cruelty against greyhounds. International animal welfare groups have complained about cruelty in the industry for years, and the practice of greyhound racing has already been banned completely in thirty-nine of the United States. 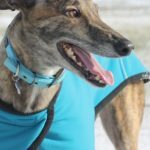 In Florida, it was reported that 3,000 greyhounds were “retired” (put to death) in 2002 alone when they didn’t meet the cut or were no longer able to perform to racing standards. Animal welfare groups in Victoria have called on their government to follow NSW’s lead and dismiss the board of the Victorian industry governing body. The chief executive of Racing NSW, Peter V’Landys, believes that the leaders of Greyhounds Racing NSW are to blame, since they failed to track down those committing the crimes. CEO Brent Hogan has agreed to stand down, but criticised V’Landys’ comments – saying that he should wait for the outcome of the investigation before rushing to judgement. 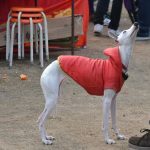 And despite industry insiders admitting that live baiting and greyhound abuse is an “open secret”, Hogan said that the five people featured on Four Corners were just a “rogue element” of the sport. V’Landys asserts that he has set up a surveillance and intelligence unit for Racing NSW, which would hopefully crack down on cruel practices. He says that the unit includes trained investigators from the police force and ICAC. There are two investigations underway in Victoria and the state government says it will not take any action until the investigations are complete. 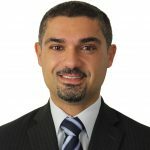 But the government has received criticism for their stance, as well as for pledging $3 million to help Greyhound Racing Victoria conduct its own investigations into the live baiting and greyhound abuse allegations. The RSPCA’s Dr Liz Walker condemns the move, saying that it was inappropriate for the government to provide more funds to an organisation that has done a poor job of regulating itself. Sue Pennicuik, welfare spokesperson for the Greens, believes the public is outraged that the organisation was given millions to investigate itself. She points out that Greyhound Racing Victoria had been aware of allegations of live-baiting for over five years, including the suspension of one trainer for “improper” practices, which likely includes cruel methods such as baiting. What is the law on baiting? Some believe that “blooding” or baiting dogs makes them better at chasing the mechanical baits used on the race course. And a number of trainers see baiting as a “necessary cost” of the sport. Animal baiting was a popular form of public entertainment long ago, but it was banned in the UK as early as 1835. Despite laws against baiting in the UK and Australia, it has continued to exist as the Four Corners report shows. Australia does not have any national legislation against animal cruelty, which means that it is up to each state to legislate against it. In NSW, section 18 of the Prevention of Cruelty to Animals Act makes it an offence to bait animals or make them fight. The maximum penalty for the offence is 6 months imprisonment. The people exposed in the Four Corners report have all been suspended. In total, over 20 trainers have been suspended so far – but this is just the tip of the iceberg in terms of those who engage in animal cruelty. Some vets and animal activists have been aware of the practices for years, but their complaints have often fallen on deaf ears. Those who were recently exposed face ten year bans from the industry as well as criminal prosecution. But many who partake in animal cruelty never face any consequences for their actions. As mentioned on the Four Corners report, only two prosecutions for baiting have taken place in the last ten years. Cruel practices like baiting continue to exist, undeterred by the law or even potential imprisonment. 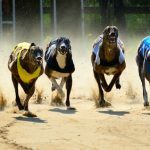 The NSW government is currently seeking to schedule a five-year statutory review of the Greyhound Racing Act 2009, which might lead to a reduction in the powers of Greyhound Racing NSW. Claims by some members that no one knew that cruelty was occurring, or that the conduct is isolated, are not convincing – particularly as others acknowledge that live baiting and other forms of animal cruelty are an “open secret” in the industry. Animals are perhaps the most vulnerable beings in our society – they can be hurt or killed with very little chance of detection or punishment. And dogs are among the most loyal and loving animals towards humans. Public opinion is very much against animal cruelty – and even major sponsors of greyhound racing have cut ties after the scandal erupted. Former AFL start Jonathon Brown will no longer be an ambassador for Queensland Greyhound Racing. And the McGrath Foundation, which raises awareness for breast cancer, has also suspended its relationship, along with Schweppes, Autobarn, Bendigo Bank and Macro Meats Gourmet Game. Some believe that tougher laws and greater scrutiny won’t solve the problem, as there will always be unconscionable people who won’t hesitate to inflict cruelty to animals. This has lead to calls for the sport to be banned altogether. But the situation is not that simple. CEO of the RSCPA, Heather Neil, has said that hundreds of dogs are already at potential risk of being put down due to the recent suspension of their trainers. And this could increase to thousands if there is a blanket ban. So what’s the answer: better regulation? more policing by an external task force? higher penalties? You only need to look into the loving eyes of these vulnerable animals to know that something needs to be done. Should it be compulsory to report animal cruelty?